Milton has always been home to a strong restaurant scene and La Stazione is on track to complement the existing offer, with a menu that will delight Brisbane foodies. Located underneath the new Milton Residences and right next door to Milton Station, La Stazione serves up traditional Italian cuisine with a focus on sharing. Restaurant co-owner Luca Giacomin says the menu has been created to give diners the chance to taste a variety of high quality Italian dishes at an affordable price. “There’s a difference between sharing a meal, and sharing food. 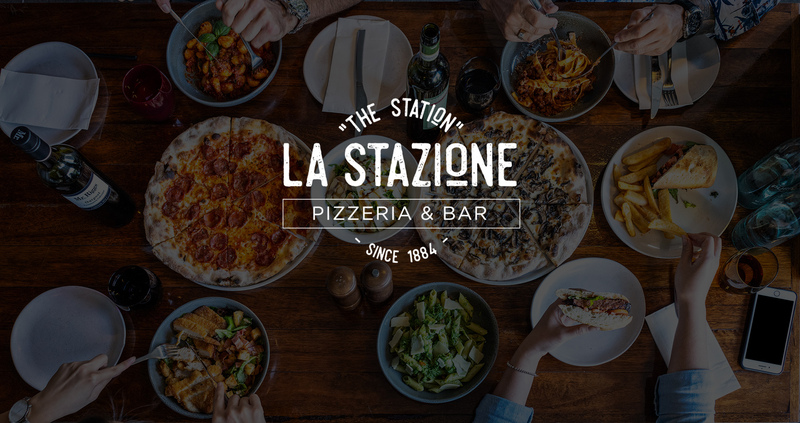 Sharing food emulates the big Italian family dining experience and allows guests to connect, bond and try more dishes.” As well as the small and large share plates, La Stazione serves authentic Pizza and Pasta dishes. “Our pizza will be the same as the award-winning Pizza’s we offer at our Gold Coast Restaurant Cicchetti. La Stazione is a collaboration between experienced restauranteurs Luca Giacomin (Cicchetti Gold Coast, Cicchetti Byron Bay) and Sam Mustafa. “We chose the name “The Station” La Stazione because we have the railway next to the restaurant. The original railway was built in 1884 so we thought it would be terrific to acknowledge that history and include “since 1884” in our logo,” Luca said. La Stazione kitchen is headed by Executive Chef Andrea Sarlo. La Stazione is open for lunch & dinner 7 days a week. Seating up to 70 people, the restaurant is also available for functions and special events. To make a reservation, please call 07 3505 0694 or book online using our booking system. We look forward to welcoming you to La Stazione.